The first thing I noted about this book was that it seemed slimmer than the first edition. There was a slight increase in the number of chapters (to 65), and contributors (to 140), but a 42 percent reduction in pages (314 fewer). Looking back, I note I had the temerity to refer to some sections of the 2010 first edition as ‘a bit tedious’. My copy of the earlier edition was donated to a university library, so I am not in a position to make a direct comparison, but it seems there has been significant tightening up. The book is set out in seven sections. 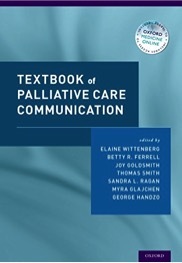 The first is a general introduction to communication studies in cancer and palliative care. The second is a core curriculum for communication skills training. The third is new and focuses on communication issues in nursing. This is followed by sections on a specialty curriculum for oncology, communication issues across the disciplines, and education and international initiatives in communication training. The last is about research in cancer communication. I liked the new chapters about communication issues in nursing. I am well acquainted with SPIKES, but have to admit that I had not previously run into SAGE & THYME, which is another mnemonic for how to communicate better. The lead chapter in the curriculum section is ‘Enrolment in clinical trials’. The authors discuss communication issues involved in obtaining informed consent, in the belief that this is what is hindering enrolment in important clinical trials and hampering progress in oncology. I support the role of clinical trials, but I would have thought that if you are obtaining genuinely informed consent for treatment, then it matters not at all whether the patient is receiving some standard therapy or embarking on a clinical trial. I have a relative who went to see an oncologist at one of the top Cancer Centers in the USA and was told he needed special genetic tests on his tumor cells, which meant his treatment would not start for two to three months, after which he would be enrolled in a clinical trial. My research showed there was no evidence these laboratory results were therapeutically meaningful, but I knew they were part of this particular specialist’s research agenda. I told my relative that standard chemotherapy for his tumor had an excellent response (and cure) rate and he started treatment with another oncologist a week later; so far, the results have been excellent. I wondered whether the first oncologist’s expectation that a patient with a high-grade tumor would contentedly sit around for two to three months waiting for treatment, simply in order to increase his research database, and thought this was a failure of communication of a non-verbal type. Perhaps that can be discussed in the third edition. Although ‘Palliative Care’ is in the title, I couldn’t find any discussion regarding communication issues in palliative care for non-malignant conditions, such as heart, lung, kidney and neurodegenerative disease. I was also unable to find a discussion of communication issues related to assisted dying or euthanasia. There has been a dramatic improvement in communication in oncology and palliative care in the last 40 years, thanks to the various oncology and palliative care organizations; yes, there is a need for a lot more improvement, but the really challenging discussions in the coming years, for which many healthcare professionals are not prepared, relate to patients asking for assisted dying. Fifteen lines on page 142 about requests to die sooner are inadequate. This is an excellent compendium about how we might improve communication in oncology and palliative care. It is published by OUP Oxford (east of the pond) and has a truly international list of contributors. The primary goal seems to be how we can better educate the profession to communicate with people with serious or terminal illness, which I support wholeheartedly. This book is focused on communication problems at the clinical interface. I liked the separate chapters regarding communication for different members of the team (social worker, physician, nurse, chaplain and psychologist) and thought it was appropriate that the chapter on communication issues for social workers was put before those for the others. My question was where were the chapters for physiotherapists, occupational therapists, pharmacists, volunteers and others. There were chapters on chronic obstructive pulmonary disease(COPD, with a bit about heart failure on the side, but nothing on end-stage renal or neurodegenerative disease. The chapter on HIV/AIDS was focused on advance care planning, which I thought would represent only a fraction of their communication issues. There was a chapter on lesbian, gay, bisexual, and transgender communication, and a separate chapter on homeless, mentally ill, and drug addicted patients. Discussion of the communication issues in these special groups is important, but I wondered whether their problems should be highlighted in a general discussion of the various problems. I always wonder whether selecting out these special interest groups does not reduce the emphasis for the average healthcare professional about the standard requirements of Mr. or Mrs. Ordinary. There were chapters dealing with team communication in various care settings – acute, outpatient, hospice and nursing home. There were chapters on communication education for physicians, nurses, social workers, and chaplains, but not for the other members of the interdisciplinary team. What I did not find in this book was a discussion of communication issues related to assisted dying or euthanasia. Communication in oncology and palliative care has improved dramatically in the last 40 years; yes, there is need for a lot more improvement, but the really challenging discussions in the coming years, for which many healthcare professionals are not prepared, relate to patients asking for assisted dying. This is a very good compilation about communication problems in palliative care. It has a very North American feel, which is not surprising given that it was published by OUP New York (west of the pond) and 94 of the 103 contributors are from USA and Canada; four Aussies, three Poms and two Danes escaped the cut. 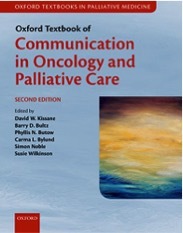 Compared to the Oxford Textbook of Communication in Oncology and Palliative Care: 2e (OUP, 2017)(see separate review), which I described as focused on educating the profession about communication, this is a little less organized, but is a very practical guide to communication issues at the clinical interface. When I reviewed the first edition of this book (Johnson and Lehman, Heart Failure and Palliative Care, Radcliffe Publishing, 2006), I wrote “Whenever a patient under my care dies, I write to their general practitioner, and send copies to any other specialists involved in the patient’s care. I don’t think about it, it’s automatic. But over all the years, I have never received a similar letter from a cardiologist, concerning a patient that I had seen who died whilst under the care of the cardiologist. 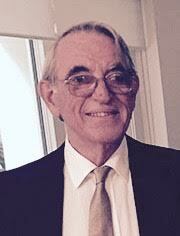 An interesting observation on the ethos of cardiologists.” It hasn’t changed. In my experience, cardiologists are mentally or psychologically incapable of discussing the possibility of death, never mind delivering compassionate end-of-life care. But this book restores some hope. First, it is an updated review of symptom control and palliation of end-stage cardiac disease, which is very helpful for non-cardiologists working in palliative care. Second, it emphasizes optimizing service provisions, including a team approach (i.e. not just the patient and the cardiologist). And third, because it announces that Karen Hogg has been appointed as the UK’s first cardiologist with a special interest in palliative care, which I regard as recognition of a clinical need. 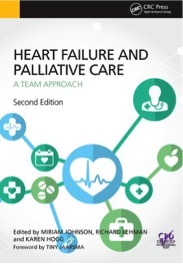 The book includes chapters on the syndrome of advanced heart failure – optimal therapy, prognosis, symptom relief, supportive care, communication, the need for palliative care, and how to improve terminal care. 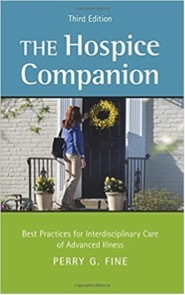 This is the revised and updated third edition of The Hospice Companion, first published in 2008. It aims to be a pocket-sized, ready reference for those working in hospice and palliative care, and it succeeds. I like it because it is a little different to other manuals in that it emphasizes the multidisciplinary management of clinical problems, i.e. really holistic care. The structure of the book is similar. The opening chapter is about the structure and function of palliative care and the interdisciplinary team. The second is about personal, social and environmental matters, which boil down to a thorough assessment of personal and psychosocial matters. Chapter 3 is about the management of 25 different symptoms or symptom complexes, from Agitation to Xerostomia. These are concisely written, mainly as bullet-point lists, and present the relevant information in a useable form. Importantly, attention is paid to psychosocial matters as well as the medical. I am still having problems with ‘emergent treatment’ as something that is urgent and not emerging. I thought I had a small victory when I saw that it was referred to as 'urgent/emergent treatment', rather than just emergent, on page 60. To ward off fears of impending dementia, I performed an Internet search for ‘emergent’ and ‘emergent medical’. Of the non-medical sites, none referred to anything about ‘urgent’ or ‘emergency’. One single medical citation (of more than a dozen) referred to ‘relating to an emergency’, but the rest all related it to something that was emerging (and not an emergency). A useful handbook, provided you remember to give urgent treatment in an emergency situation and do not just emerge. This book and I did not get off to a good start. It was advertised on Amazon as being newly published in December 2016. There was no mention that it had appeared as a hardback in 2013. But I didn’t even get a paper edition; I was told to make do with the e-book, which I think makes the job of reviewing doubly difficult. To cut a long story short, I wasted a lot of time dealing with stuff written for geeks, but was unable to download the book. When I tried a fourth time, the site snapped into action and told me I had used the maximum number of attempts allowed, and that I must report immediately to Cambridge University Press. But this is meant to be about their book. In the introduction, on page 3, I read “Suffice it to say in 2004 Serge suffered a ‘grand mal’ (type of epilepsy) that was caused by a frontal brain lesion and by lung lesions that were treated by craniotomy.” I felt troubled. Lung lesions rarely cause epileptic seizures, and lung lesions are definitely not treated by craniotomy. It goes on to say, ‘It is absolutely certain that, without the benefits of [continuous sedation], Serge would have died a horrible death.’ I did not feel there were grounds for such a statement and regarded it as emotive rubbish. I was losing patience. Sterckx and Mortier are professors of ethics at Ghent University in Belgium; Raus is identified as a postdoctoral researcher at the same university. The opening chapter, written by the three editors, is long-winded and repetitive to the point of being tedious. They were at pains to emphasize how controversial continuous sedation was, but it seemed like a lot of hot air to me. I realized that I had never considered how professors of ethics fill their working week. The chapter ends with a review of the content of the other 14 chapters. But instead of providing a short, sharp synopsis of each contribution, they attempt to summarize everything each author says, cross-referencing what was said by any of the other 13 on any particular point. I thought it was an unhelpful mess that ground on for 11 pages. The message that I got from skimming some of the other chapters was that there was absolutely no consensus about terminology and definitions, and that there were an almost unlimited number of clinical variations, which meant that no two-people using the words ‘continuous sedation’ or ‘palliative sedation’ were talking about exactly the same thing, and that meaningful comparison of different reports was not possible. There were a number of good contributions about these variations and, viewed from a slightly different angle, they provide insight into the myriad considerations involved with terminal sedation. There were also a few contributions raging about the controversial nature of the subject (mainly from ethicists). The best chapter was by Dr. Nigel Sykes from St. Christopher’s Hospice in London, who provides a clinically sensible description of the history of sedation in palliative care, what benefits it brings, cuts across the business of artificial hydration and nutrition (they are not relevant in appropriate patients), and really asks what all the hype and rage (by ethicists) is about. The last chapter is by Margaret Battin, a professor of philosophy from Salt Lake City. A vocal advocate of physician-assisted dying, she seems to be expressing concern about terminal sedation that, “once the process has begun, the patient no longer has a way of controlling the course of events on the way to death.” I felt a bit confused. I remain concerned that the almost meteoric rise in the use of terminal sedation in The Netherlands represents euthanasia in disguise, and has the advantages of being free of the administrative hassles and legal risks associated with euthanasia. 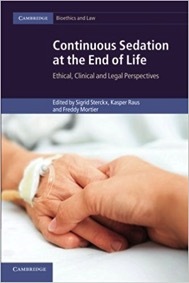 That sedation is being used to shorten life is addressed in several of the presentations in this book, but I could not find any quantitative estimates; however, in Griffiths et al Euthanasia and Law in Europe (Hart Publishing, 2008), there is a statement to the effect that Dutch doctors reported that in 50 percent of cases in which palliative sedation was employed, the intention was to shorten the patient’s life. The editors are a senior lecturer in the School of Nursing, Midwifery and Indigenous Health and an educational designer in the Division of Student Learning, respectively, at Charles Sturt University in Australia. The Preface indicates this book is for undergraduate nurses. The book is divided into three parts – the Context of ageing, the Social Aspects of ageing, and the Clinical Aspects of ageing and aged care. In the third section there are good chapters about the management of multiple co-morbidities and end of life care. Glancing through the text, I felt the problems of indigenous Australians and the Maori people of New Zealand might be over-represented, although that is very politically correct. I remember a period of several years when it was just about impossible to get a palliative care/hospice bed for the average dying Mr. or Mrs. Ordinary in metropolitan Melbourne, because the focus and funds of the Department of Health were diverted to innumerable special interest groups including prisoners, the homeless, people in remote areas, drug addicts, as well as the indigenous groups. So in aged care, I believe indigenous people require good care and it should be culturally appropriate, but not to the disadvantage of the average ageing Mr. or Mrs. Ordinary. 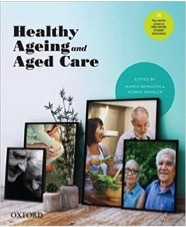 This book contains a mass of material related to ageing and aged care, that I think would be useful to a student nurse or other allied health care undergraduate. Note: Review copies become property of IAHPC and are not returned to the author. Only palliative care related books, which are previously approved, and which have an ISBN, will be reviewed. Due to the large number of requests, we can’t provide exact dates of when books will be reviewed.